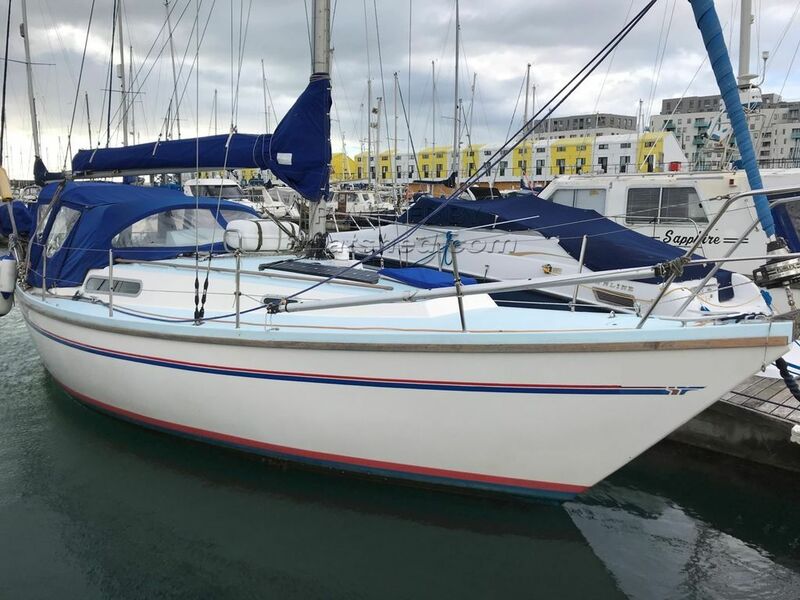 This looks a great example of these popular yachts - and they're popular for many reasons - great cockpit, fantastic accommodation space, safe and steady sailing, foam sandwich, to name but a few! This particular example looks tidy and is very well equipped for longer passages and stays on board, with plenty of safety equipment and her big cockpit tent gives that all-important extra space. Proof of VAT payment held. This Sadler 29 has been personally photographed and viewed by Tim Kingston of Boatshed Brighton. Click here for contact details.